Spend a week or more enjoying all the splendor of the great outdoors on beautiful Lake George in the Adirondack Park, New York. Live in 'Longview,' a real log cabin nestled on the waters edge of Warner Bay. Enjoy the pure waters of Lake George with your own reserved dock that can fit a 27-foot boat or splash and swim off of the dock with an elevated sun deck. This log cabin is perched on the shore offering an incredible long view over the tranquil waters of Lake George's Warner Bay toward Rockhurst and Long Island. Comfortably sized with almost 3,000 SF sleeping 12 people, it features a cathedral ceiling family room with a working wood fireplace, a modern kitchen, five bedrooms, 3 bathrooms, and a two-car garage. This is a four-season location with great things to do year round as Longview is close to all major attractions including hiking trails, ski areas and restaurants. Learn more at our dedicated website www.LongviewADK.com and download our PDF brochure. Summer Activities: Boating and other water activities await from your reserved boat slip. Fischer's Marina is close by which affords a boat launch and fuel. Additionally, Longview is close to everything: 20 minutes to Lake George Village by car or you can go by boat and use one of the public docks, 5 minutes to camp Chingachgook which offers day camp for younger children and 2-week sleep away for older kids; enjoy rides and waterpark at Great Escape/Six Flags or Magic Forest (for the younger kids); fantastic outlet shopping; about 40 minutes to Saratoga where you can shop, dine or take in a race at the track. Right off of Pilot Knob are two trail heads-one offers access to a wide network of hikes at skill different levels including a 6.6 mile trial to the summit of Buck Mountain at about 2000 FT elevation. Swimming, Theatre and Museums: 'Million Dollar Beach' in Lake George Village offers a bathhouse, lifeguards, picnic areas, volleyball and a large sandy beach. White water rafting, parasailing, kayaking, biking trails, jet ski rental, guided horseback rides on trails, and mountain biking are close by. Gore Mountain opens its trails for hikes and mountain biking in the Summer and early fall. Try a hot air balloon ride over Lake George or take a narrated cruise on one of the lake’s unique steamboats. In the Summer, the Saratoga Performing Arts center offers the New York City Ballet, the Philadelphia Orchestra and various other musical performances. There is a dinner Theatre in the village that operates from mid-June to mid October. Museums: in Glens Falls-Hyde Collection for fine art and Chapman for local history; Lake George-The Fort William Henry Museum and the Battlefield Park. The Adirondack Museum in Blue Mountain Lake (about an hour away, May to mid-October) offers extensive exhibits. Winter Activities: Longview is ideally located for easy access to downhill and cross country ski areas. Gore Mountain is about 45-60 minutes away with snowmaking on 95% of its 60 trails. It has a summit elevation of 3,600 feet and a vertical drop of 2,100 feet. West Mountain is within 20 minutes drive and is a smaller, easier mountain that has a kid friendly ski school and fun a tubing slope. Vermont ski mountains are around 1-1/2 to 2 hours away. Cross country skiers have numerous options within 20-60 minutes drive. Snow mobile trails are with 10-15 minutes drive offering a wide range of trail types. If snow shoeing is your thing, trails off of Pilot Knob offer gentle paths or more steep challenges to various mountain summits. Drive a little farther and there are dozens of trail networks that offer extensive winter hike/snow shoe/cross country ski opportunities. Lake George has a great Winter Festival that has races and activities. The Lake George Forum offers indoor ice skating year round. Our family loves the Adirondacks and spend as much time as we can at our vacation home which is across the street from Longview. We fell under the Lake George 'spell' in 2001, buying our ADK home so our family could enjoy the year-round fun and experiences that would provide a lifetime of memories. Since then, we have engaged in so many activities that has brought us closer together and opened a world of new experiences like boating, hiking, snow shoeing, midnight lake adventures, and so on. 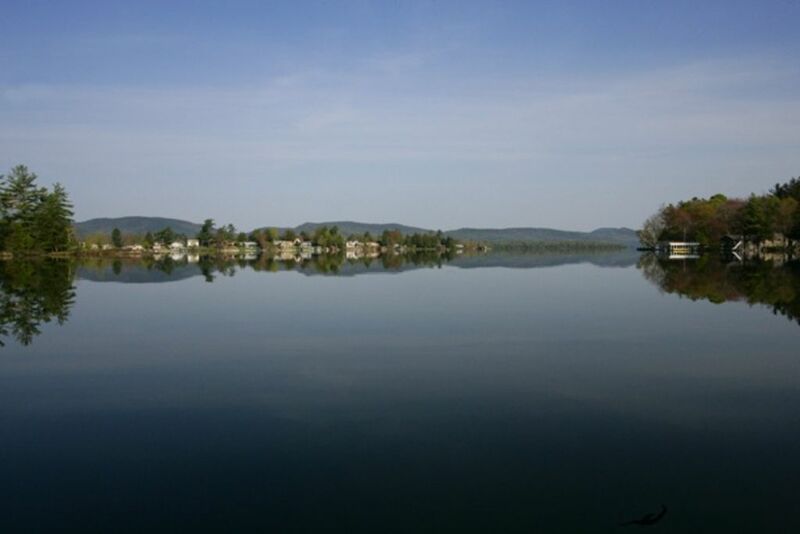 We love exploring the numerous sleepy towns and villages that dot the ADK park. When the log cabin across the street came on the market, we snapped it up so we could share our love for this special place with other families and individuals. Please note that we did not rent Longview during the 2018-2019 season (but it was rented prior seasons.) We are glad to re-list Longview beginning April 2019 and look forward to seeing you there! We could not think of any other area that offered such a wide range of year-round activities offering adventure, the outdoors, wildlife, waterfront fun, sports and activities, arts, good food, shopping, antiquing, relaxing, boating and lovely locals. We love to hike and one of the special benefits of this location literally across the street from our home and Longview is a hiking trail up to a gazebo overlook and further up to a beautiful waterfall. We recommend this hike in all four seasons as the trails transform to offer very different experiences. if you are seeking more challenging hikes, a few miles down the road is a great hike up Buck Mountain offering spectacular views of the Sagamore, the Narrows and views toward Lake George Village. Bring lots of water and take your time but the views from the top are worth the effort! Longview is a lovely real log cabin. It sits on the Lake George waterfront, overlooking Warner Bay--a quiet, 5 MPH bay serving a handful of homes and Fischer's Marina. The interior offers spectacular views of the lake with amazing sunrises and sunsets. Longview guests get the use of a dedicated boat slip to dock their own (or rented) boat during their stay. Boating on the lake is incredible with day trips to the numerous small towns along the 29 mile long lake. You can go by boat (or snow mobile in the winter) to Lake George village and have dinner, see the attractions or go shopping. Up in the narrows, you can stop in the small store located on Glen Island or go eat at one of the boat-in restaurants along the lake. Or, just dock in one of the quiet bays and relax and go swimming. The dock offers a sundeck for taking in the rays and relaxing while swimming off of the dock and jumping off of the Aquabouncer keeps everyone cool and busy. You will not have to go far to fish as many of our guest find they can catch good sized fish along our stone crib docks. In cooler weather, people love to use the cabins stone fireplace to add ADK ambience to the cabin and their stay. Fall is wonderful with crisp air for hikes and boating. Winter is fantastic with hiking, skiing, ice fishing, snowmobiling, and making snowmen. If all else fails--there is always nearby outlet shopping, seasonal horse racing, art museums, music and lots of restaurants. Kids love Great Escape, all of the mini-golf, arcades, the rodeo, and all of the traditional waterside 'boardwalkesque' types of activities. At the end of the road Longview is on, is a public swimming spot with a sandy beach. In Lake George Village is "Million Dollar Beach", a larger beach/swimming spot. Glens Falls, a great turn of the century town is about 15 minutes away. Saratoga has more great restaurants, the track, casino, shopping and museums and is about 35-45 minutes away. Adjacent to Longview are some great mountains for hiking including Buck Mountain. Across the street is a trail head that leads to a gazebo overlook of the lake and further up a waterfall. Longview is out in the countryside of the ADK Park along the East Side of Lake George in Warner Bay. Lake George village is about 12 minutes away offering everything from restaurants, shopping, events, music and fun things to do for all ages. The cabin sits on Warner Bay, a quiet 5 MPH bay off of the "Queen of American Lakes", Lake George. Our bay is a great fishing, swimming and sun bathing spot with sun all day including late afternoon. Great views of Warner Bay on Lake George. Amazing sunsets! Beyond the lake are the ADK mountains offering luscious images. Great swimming in our 5 MPH bay. In the Summer, we have an Aquabouncer swim platform off the dock for everyone to enjoy. Water temps can get up into the 70's during the Summer in our bay. We provide free local and continental US long distance phone service on the phone in the kitchen area. Verizon cell service works best; AT&T and others can be spotty at best. Hot water baseboard, 3-zone heat keeps the cabin toasty in cold weather. for 12 people. Strip the beds and place the linens (and supplied towels) in the supplied laundry bags and leave them in the kitchen area before checkout. a newer unit PLUS a great old fashioned laundry line and clothes pins off of the porch. Wood burning stone fireplace--bring your firewood! Enough space for you and your guests- 4 cars in the driveway. Bath towels for 12 people; bring your own towels for other uses like swimming. Yes--it is open and easy to use. Gas stove with gas oven below. 12 cup and Keurig K-Cup Brewer. You must supply coffee filters and your own K-cups. Fully equipped kitchen with almost everything you might need. Bring your own and launch from the dock--our bay is 5MPH and mostly calm compared to other areas. Guests can bring their own boat (or rental), up to 27 feet long, and dock it at the dedicated Longview guest dock during their stay. There is a sun deck over the dock and a small deck on the rear of the cabin looking out toward the lake. Access to the waterfront and dock is steep and rocky and not suitable for those that are mobility challenged. The cabin is not accessible by wheelchair (nor is the interior handicap accessible or offer spaces and amenities that can accommodate someone in a wheelchair) but has a first floor bedroom and bathroom. The cabin, overall property, dock and waterfront are not baby proofed--tenants with small children and babies are responsible for baby-proofing as may be needed including the safety of their babies/children (and anyone else like older adults who may be handicapped, mobility impaired/challenged or otherwise incapable of utilizing the property, waterfront and cabin safely. Spacious for 2 families. Loved the decor. Overall, a great experience. Thanks for a great vacation! What a nice place! We were very happy to have spent New Years Eve with our friends and family at this cozy cabin. Charming, comfortable atmosphere of the house allowed us to enjoy a wonderful vacation. We did not expect to find so many activities during the winter time. In 1 week we enjoyed horse back riding, skiing, snow tubing, snow mobiles and so on. Owners were very helpful and welcoming. Hiking, camping, snow shoeing, ice fishing, biking, snow mobile riding, horseback riding, golf, miniature golf. Amusement Parks, rifle ranges, festivals, theatre, movies, music, bars and clubs. Camp Chingachgook (at the end of our road about 4 miles, is a YMCA Summer Camp that offers daily and weekly (overnight) experiences for young kids and teens. --For stays of less than a week, Contact owner for details and pricing; Note- Summer Season is 1-Week Minimum --Checkout Time 11 AM; Checkin Time at 4 PM. --Deposit - $1,500.00 or 25% of rent, whichever is greater --Reservation is not deemed complete unless initial deposit is paid and a signed lease has been returned to Owner. --Balance of of Rent and Security Deposit is Due 45 days before check-in. --The lease agreement governs the rental transaction with the tenant and Owner; and supersedes any terms and conditions, including any other information, rates, language on this or any other website.